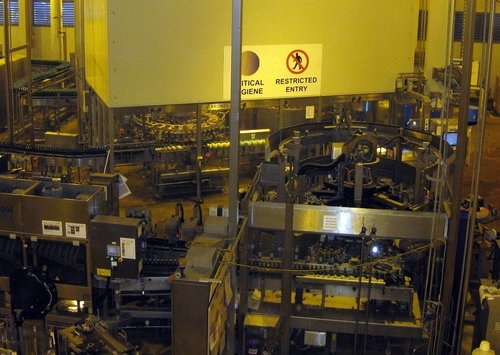 Unique Services specialises in Redline Cleaning in the food processing industry and the team members are often asked to explain exactly what this means. In a nutshell, Redline areas are parts of the plant where everything that enters including raw materials, cleaning equipment, operating staff and contractors need to be as sterile as possible to ensure possible contamination is kept to a minimum. Most food processing companies operate using a ‘multiple zone’ approach to product safety and each zone is given a classification as to the intensity of protection and cleaning it requires. Redline focuses on the two highest zone classifications and involves using very specific disinfectants and sanitisers. We are often asked about the different types of chemical compounds used for cleaning. Before we go into detail about each chemical and their purpose, it’s important to understand the difference between sanitising and disinfecting. Sanitising- to reduce microorganisms of public health importance to levels considered safe (based on established parameters) without affecting the quality of the food or its safety. The term alcohol refers to two water soluble chemicals, ethyl alcohol (ethanol) and isopropyl alcohol. Ethanol and isopropyl are fast-acting and highly effective against vegetative forms of bacteria, however they do not destroy bacterial spores. The alcohols are also effective against fungi and viruses. Ethanol is used purely in surface cleaning whereas isopropyl doubles as an antiseptic. It is believed that their antimicrobial action is based on denaturing of the proteins present in the targeted species. Hypochlorites, the widest used of the chlorine compounds are available as liquids (sodium hypochlorite) or solids (calcium hypochlorite). When mixed with excess water the hypochlorite forms hypchlorous acid which is highly effective against bacteria, fungi and viruses. Bleaching, disinfecting and water treatment are the hypochlorite’s primary function. They are excellent disinfectants but have no cleaning ability so they are often mixed with other cleaning compounds. Other types of chlorine compounds that can be used are chlorine dioxide and super oxidised water. However, both of these types are produced in situ by the food processing company. As an organic peroxide, PAA is highly effective against a wide range of microorganisms and their spores and are frequently used with stabilised hydrogen peroxide. Environmentally friendly and more active than hypochlorites, PAA is a very effect way of removing biofilms. These sanitisers perform well at <5˚C producing acceptable results on surfaces held below ambient temperature. Quats are very effective against a number of pathogens and are widely used in the food processing industry. These odourless, non-staining and non- corrosive compounds are unlike other types of sanitisers/disinfectants. Quats function over a wide temperature and PH range. Their complex structure allows them to work effectively as cleaners in their own right and they are used in disinfectants and surfactants. Quats are positively charged and bind with the negative acidic microbial cell wall. This blocks the uptake of nutrients and ultimately leads to the death of the organism (Lysis). To clean, disinfect or sanitise? Cleaning will only remove visible surface dust, debris or dirt. Sanitisation will reduce microbial presence on food processing surfaces. And disinfection will kill harmful pathogens including viruses and fungi. 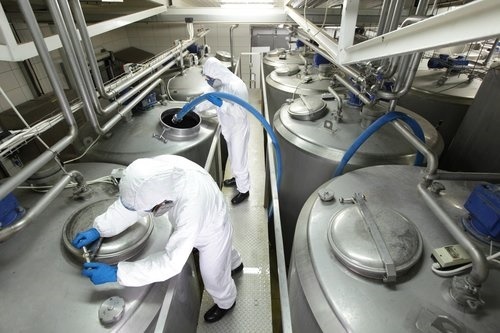 When sanitisation and disinfection methods are consistently applied in the food processing industry, the company’s food safety and hygiene standards are significantly enhanced. When you sanitise with efficient chemicals, you have the ability to reduce contamination levels by 99.999% in 30 seconds on any surface that may come into contact with food. This is generally the accepted standard of sanitisation. Most sanitisers must be applied to surfaces that are free of organic matter, biofilm and cleaner residues. The usual sequence used by Unique Services is rinse, clean, rinse and sanitise. The cleaner used needs to be appropriate for the type of contamination present on the surface. On the other hand, disinfection must totally deactivate all specified organisms including viruses and fungi within a certain time – usually 10 minutes. Some of the new generation chemicals and cleaners act as both sanitisers and disinfectants. 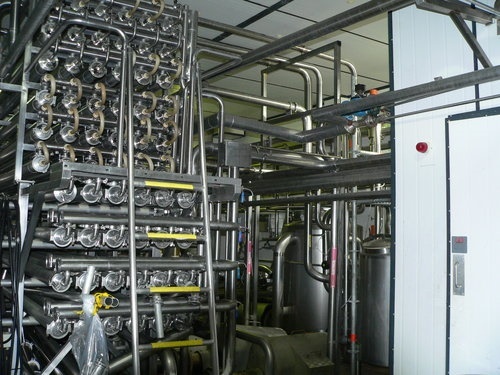 Here at Unique Services, we specialise in a range of antimicrobial treatments and use MPI approved products from leading suppliers when carrying out sanitisation and disinfection methods in food processing plants. The team at Unique Services always keep up-to-date with santisation standards, so give us a call today and make use of our expertise.